Summer means walking around and enjoying the sun and nice weather. But everyone knows how unbearable a heat wave in New York can be, and now-a-days it takes some sort of motivation to get away from your AC. 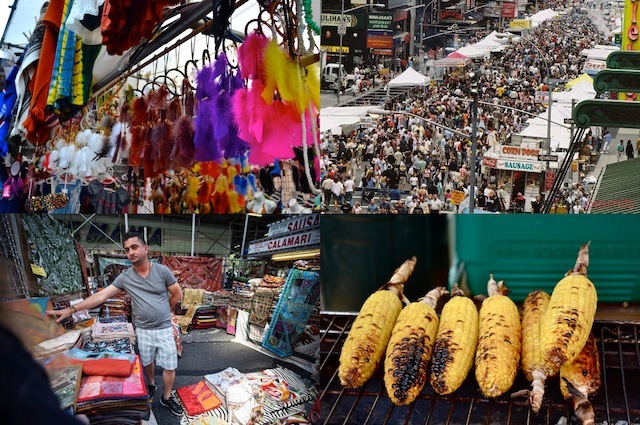 Well, here you go: http://www.timeout.com/newyork/events-festivals/nyc-street-fairs-guide-markets-fairs?intcid=leader. A stroll down the street with fresh fruit drinks and barbecue sounds pretty enticing.